We don’t know about you, but this news got us quite excited. When it comes to fashion, girls need options and Indian online stores are stepping up their game to do just that. Slowly and steadily we’re now getting easy and cheap access to International brands. After Koovs’ high-end spree of collaborating with a number of European high-street mega brands, Jabong is the latest online retail portal to get an International brand on board. They started with Dorothy Perkins and are now taking it forward with River Island. River Island is one of the leading British brands in International fashion known for its young fashion. Among the top high street brands, River Island stands our for its cool rapper style : think leather pants, ripped jeans and gold jewellery. The brand was mostly recently in the news for its super successful collaboration collection with Rihanna. Luckily for us, it has recently partnered with Jabong to expand its consumer base in India. We’re guessing that they understand that the audience here is diverse, and always on a look-out for the latest trends. 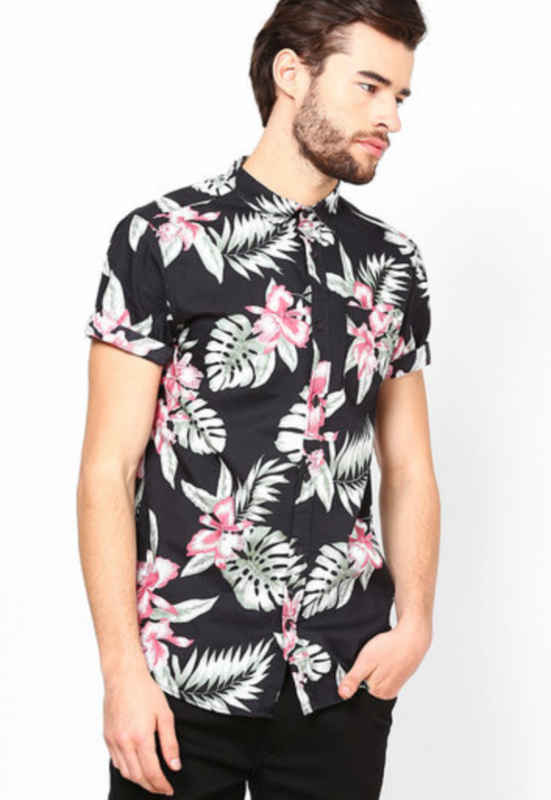 River Island’s Spring Summer Collection 2014 (SS 2014) available for sale on Jabong.com offers both menswear and womenswear falling within the price range of Rs 1100-8000. Along with add-ons and accessories, which are priced between Rs 600 to 7000. It also has a trendy shoe collection, that falls within the price range Rs 3000- 6000. Though the UK River Island website, always delivered to India. The options on cash-on-delivery and faster exchanges/returns has made it easier for the consumer in India to translate their international fashion fantasy into a living dream.